These days it’s all about mobile: constant access, no matter where in the world you are. The same holds true for employee training where the classroom is virtual and employees want to take learning with them wherever they go. 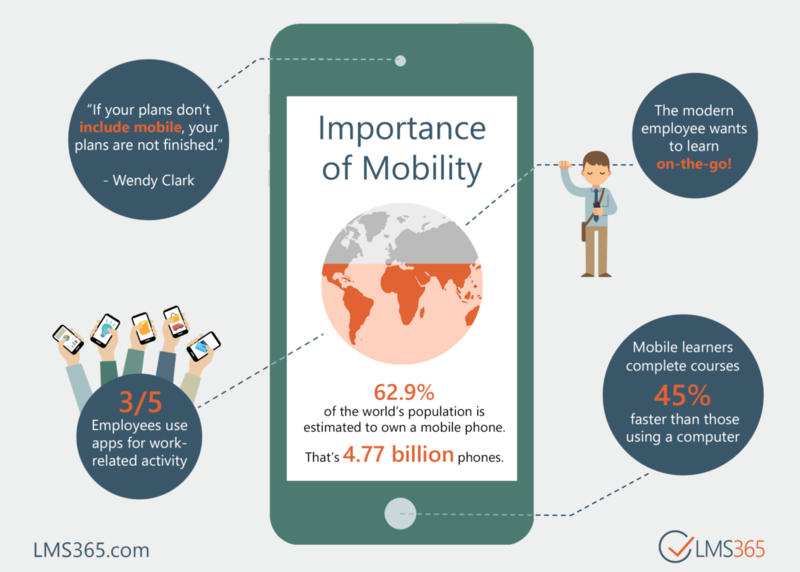 This LMS365 infographic highlights some of the key statistics related to mobile training and why it’s crucial to have a platform that supports it.